A future in which cricket chips could be found on the shelves of an American grocery store next to their potato- and corn-based peers might not be that far off -- or at least that’s the hope of a number of start-ups selling food products that incorporate edible insects as key ingredients. Among the benefits most frequently cited by entomophagy advocates are that the bugs are high in protein and are generally more sustainable and environmentally friendly than other animal proteins, according to the FAO report. Further, insects convert feed into protein more efficiently than chickens, cows or pigs -- not to mention they emit fewer greenhouse gases and less ammonia, and also require less land and water. So, what's the holdup in the Western world? A new paper published in the journal Food Quality and Preference argued that current strategies to focus on insects’ environmental and nutritional benefits are falling short. Instead, the authors suggest, the insects should not be treated as something that must be "hidden" and should also be presented in a way that's pleasing to all the senses -- as all food should be. "Insects have to find their own place, not as a substitute for chicken, or hidden in a cookie, but as insects, celebrated for what they are," wrote researchers from the University of London, Nordic Food Lab, and Oxford University. Further, from an evolutionary perspective, Lesnik notes that when humans first arrived in both Europe and America, it would have been covered in ice to such a degree that insects were not available as an edible resource. Today, thanks to our colder winters, most insects are still not available year-round, compared to the warmer climates where bug-eating is much more commonplace. As such, attempting to compare munching down on fried scorpions in Thailand to the same practice taking hold in the United States is like comparing apples to oranges, or, aphids to roseslugs. As Lesnik argues, there is no example of a people group who overwhelmingly stopped or drastically cut back on eating an affordable, readily available protein (such as beef) in favor of a more expensive, less available one (such as crickets). The lack of a roadmap for "entopreneurs," as they've been coined, has made a trial-and-error approach par for the course. When Rose Wang co-founded Six Foods with her Harvard roommate Laura D’Asaro, with the goal of creating and selling insect-based food products in 2013, they got started by ordering food-grade crickets and other insects from pet stores and farms, frying or baking them before giving them to people to try. Some tasters thought were into it, but most “freaked out," according to Wang. Their experimenting eventually led Wang and D’Asaro to try grinding roasted crickets up and incorporating them with a bean flour to make tortilla chips, which they’ve branded as Chirps. 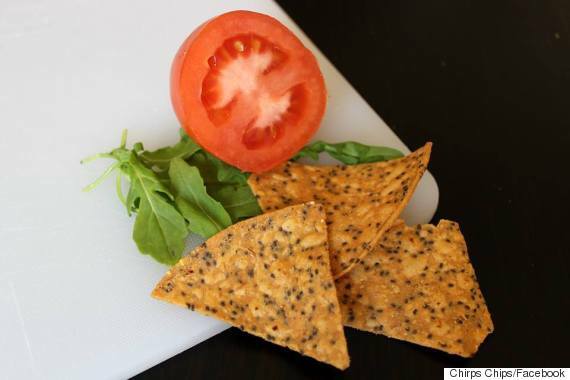 The product got off the ground in part thanks to a successful $70,000 Kickstarter campaign in May 2014 and customer response has been encouraging, even if one early potential investor told Wang their product was “the worst idea I’d ever heard.” The chips are currently sold online and at Cambridge Naturals in Cambridge, Massachusetts, in three flavors: aged cheddar, hickory barbecue and sea salt. This year, the company is focused on getting its product into “as many stores as possible.” When they hold demo events in retail spaces, Wang says more than half of those they encounter walk away with a bag. But will they return for a second or third? Wang thinks so. Kevin Bachhuber, the owner and founder of Big Cricket Farms in Youngstown, Ohio, is even more optimistic. One year after he launched his food-grade cricket farming operation, he said they are currently seeing “a demand that is 100 times what we could possibly supply.” The farm is currently working to up its production in an attempt to keep up with an overwhelming level of interest from restaurants, distributors and start-ups. “Just know the demand is there now,” Bachhuber said. 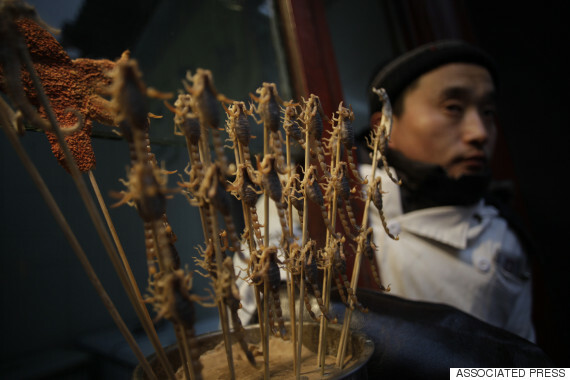 Despite that demand, there is still good reason to question whether enough Westerners will adapt their diets to include insects in a meaningful way. Brian Wansink, a professor of marketing and the director of Cornell University’s Food and Brand Lab, told HuffPost he believes insect-based products will fail to gain much of a foothold with consumers unless they move beyond marketed and perceived as novelties. Instead, Wansink suggested that these start-ups “focus on the actual attributes or benefits it could have as an ingredient besides the fact that the product comes from a cricket,” such as the the sustainability benefits when compared to other proteins. “For crickets to take hold, they have to be tied to some unique benefit or it has to be positioned as some kind of image product,” Wansink continued. Companies like Six Foods will also need to come to terms with having a higher price point than more traditional proteins thanks to the significant subsidies received by producers in the beef and soy markets. Currently, Chirps chips are sold at a price of $15.99 for three 5-ounce bags, more than four times the average cost of a comparable amount of beef. Still, Bachhuber believes the possibilities are real, even if noshing on crickets is no panacea. He hopes other start-ups will emerge who will experiment with other edible insects -- such as Rhino beetles or leafcutter ants, which are said to taste like bacon -- served in unusual ways ranging from grab-and-go snacks to gourmet preparations worthy of four-star restaurants. 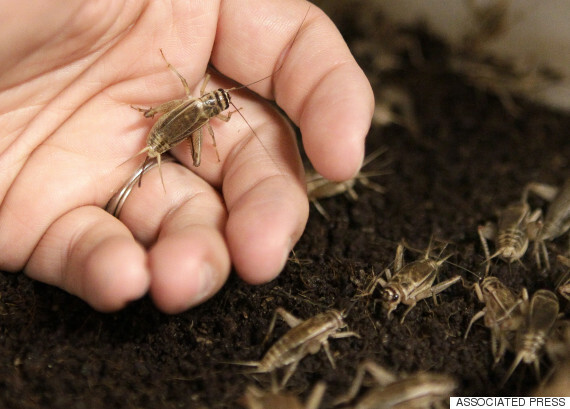 “Crickets are not the miracle cure to all the food problems, Bachhuber said, "but they’re a neat trick and a well-established dietary component that fits well into existing food systems -- fit into it, not replace it."